As an automotive buyer's consultant I have dealt with a lot of salespeople. Most of them are good, some of them not so good. One of the best salesmen I ever met didn't sell cars; he sold knock-off purses and wallets at a bazaar in Kusadasi, Turkey. We stopped in Kusadasi as part of our Mediterranean cruise. At the end of our day there, the wife wanted to see if she can find a fake Louis Vuitton wallet. We had a little bit of the local currency left so we wandered into this shop. From floor to ceiling was countless handbags, purses and other accessories. A little man about 5 ft 3 walks up and says. "Hello my friends. You from ship? Welcome to my shop, I give you best price." We say hello and browse around a bit; the owner leaves us alone as we look around. My wife finds this small leather wallet. I say "How much?" He responds, "You ever have Turkish tea?" To which we respond, "No, we've never had Turkish tea." The little man yells something in Turkish to what seemed to be his son something along the lines of, "Go to the cafe across the street and get these people some tea!" Then the man points to the wallet my wife has, "You like that? 120 Lira (about $53 USD), best price." I say, "Sorry man, all I have is 40 Lira." I'm not even haggling with this guy, that is all the money I had in my pocket. He responds, "Oh no boss, cannot do 40 Lira. You see my guys they cut, they cut, they cut (making a scissor motion with his hands) all day to get the leather right. This is high quality stuff, let me show you." He proceeds to take out a lighter and crank the flame up to about 7 inches, he takes the wallet and puts it over the flame. Then he presses it on my wife's arm. "You see not hot, this is why 120 Lira." It was indeed not hot. Then he takes another purse that looks similar, and puts it over the same flame. It immediately singes up and disintegrates, "This is garbage...this is 40 Lira." After some more back and forth, and some Turkish tea. We decide that we simply cannot afford the wallet for 120 Lira. He says, "It's ok, I understand no problem." My wife looks at some cheaper examples but doesn't see anything she likes. We are about to leave the store. When we get near the exit, the little man says "O.k. because we are friends and I want to you be happy, you can have for 40 Lira (about $18)." Now, you are probably thinking...If this guy was such a great salesmen why didn't he just sell you the wallet for 40 Lira? That is not the point, the point is that in a bazaar, haggling is expected, similar to a car dealership where a back and forth negotiation is the norm. What was different about this scenario is, while normally I feel defensive when haggling with street vendors; I felt comfortable in this environment. It was almost as if I was in this guy's house. Perhaps it is just the Turkish people, but the level of hospitality was amazing. He gave us some tea and didn't stalk us as we browsed the store. He illustrated very clearly why one product had a seemingly superior quality to another product. And at the end of the day, he gave us the product for the price we wanted. Considering that a real Louis wallet of a similar style can retail for upwards of a thousand dollars, so 18 bucks for a pretty good knock-off seemed like a deal. I know several salespeople that I really enjoy working with who take a similar ethos as the little man selling knock-offs. 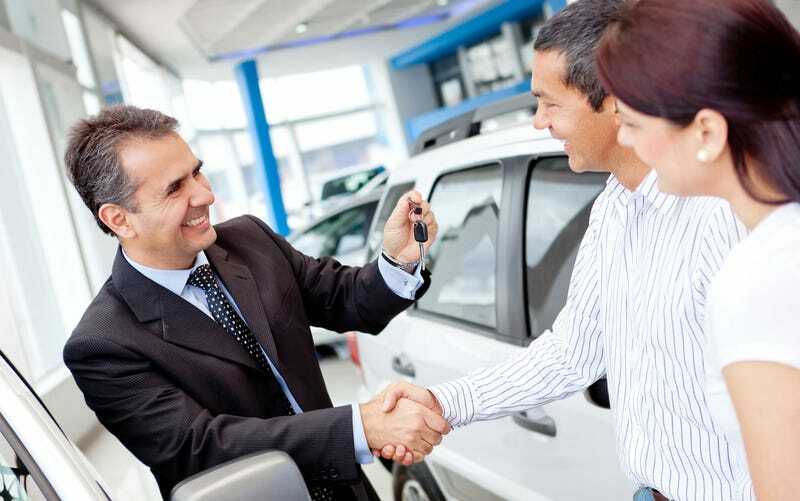 -They go out of their way to make car-buying a relaxed and enjoyable experience. -They are happy to take you on a long test drive to really see what the car is about. -They are proud of their product and are knowledgeable enough to tell you how it stacks up to others in the same class. -They respect your time and intelligence and know that even if you don't make a purchase today maybe they have made an impact for you to come back later or tell a friend. -They don't pressure you to "buy now!" -Unlike the man at the bazaar, these salespeople are not interested in perpetuating a "haggling" environment. They know their margins and will give you the best deal they can upfront without the games. As I have mentioned before, salespeople are not "evil" they are a product of a dealership's philosophy.Some of them even do the right thing despite management telling them otherwise. So to all you on the floor that are working long hours, for sometimes little pay, doing your best to not fit the stereotype, keep it up. There are more of you than most people realize; everytime you close a deal and a customer leaves happy, you improve the industry. Thanks for reading and a special shout-out to the people of Turkey, I can't wait to visit again. My name is Tom and I run AutomatchConsulting.com. I am a professional car-buying consultant, which means people pay me to help them select the right car (NO YOU CAN'T HAVE A PRIUS) and negotiate with the dealerships to get them the best price. If you have any other questions or suggestions for future posts about the car-buying process please let me know. You can find some of my other car-buying articles here.